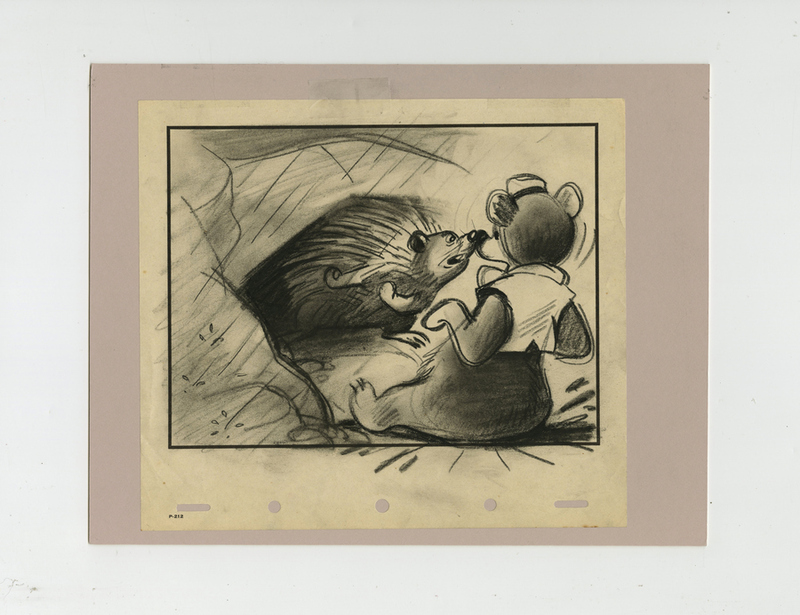 This is a set of three original production storyboards from the Walt Disney Studios production of the Fun and Fancy Free (1947) segment, Bongo the Bear. 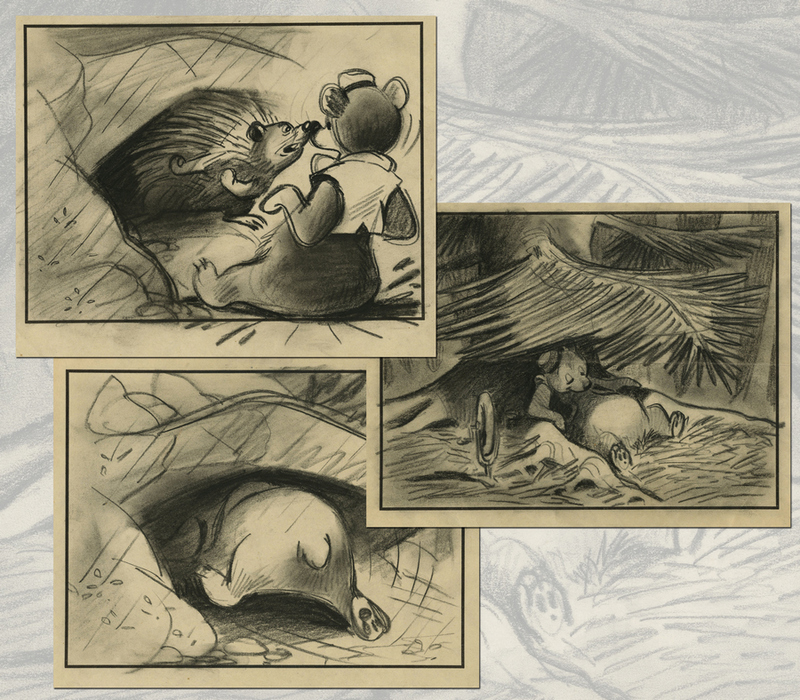 These hand-drawn storyboards feature Bongo's adventures in the forest, and were created at the studio and used during the development of the film. 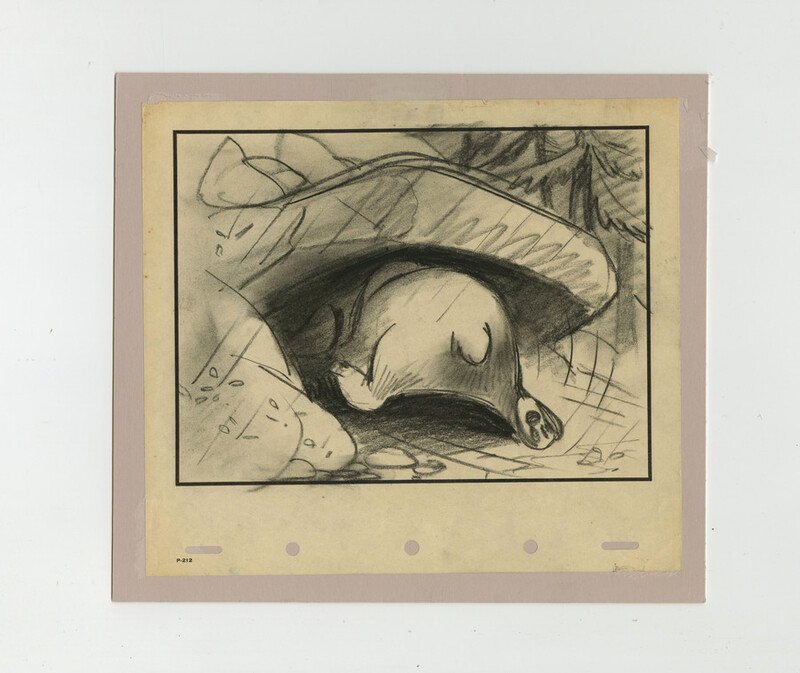 The overall measurements of each storyboard page are 8" x 9" and the image area on each page measures 5.5" x 7.5" each page. 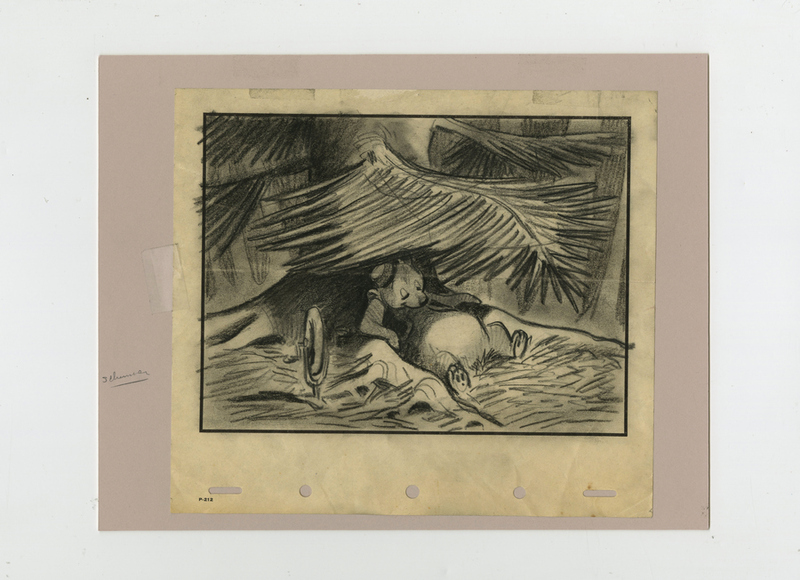 The pages are in very good condition and have been attached to a piece of mat board.